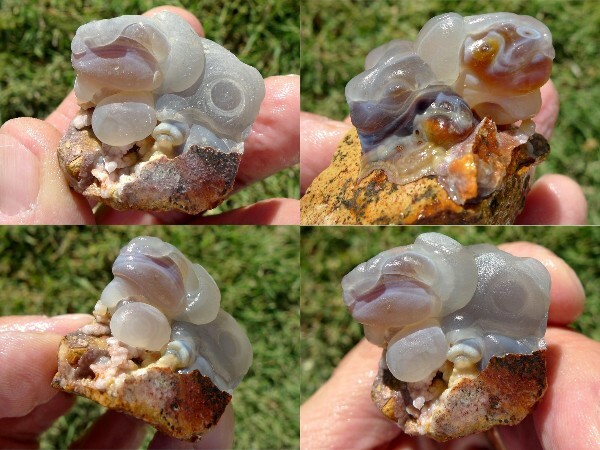 This group of Fire Agate rough weighs just over 5 pounds and has 20 pieces that measure from 1-5/8 to 4-1/2 inches (41 to 115 mm) in size. 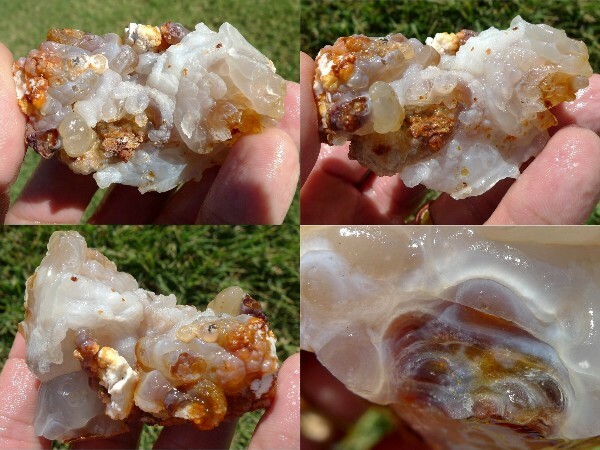 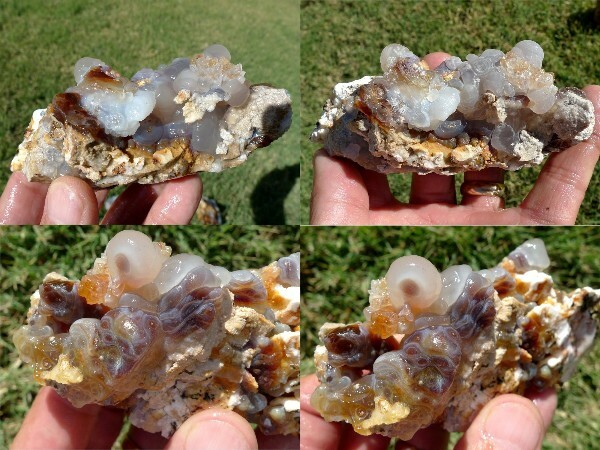 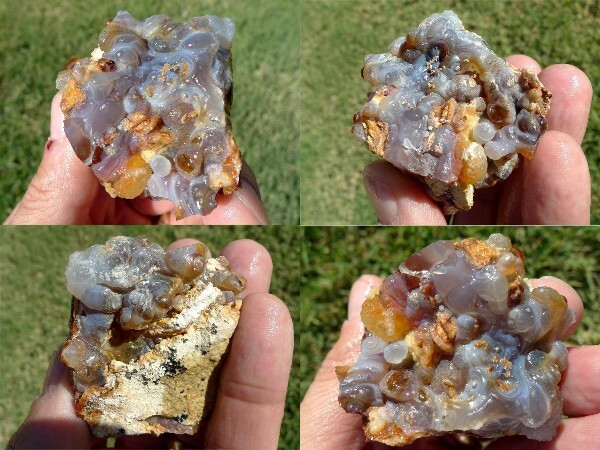 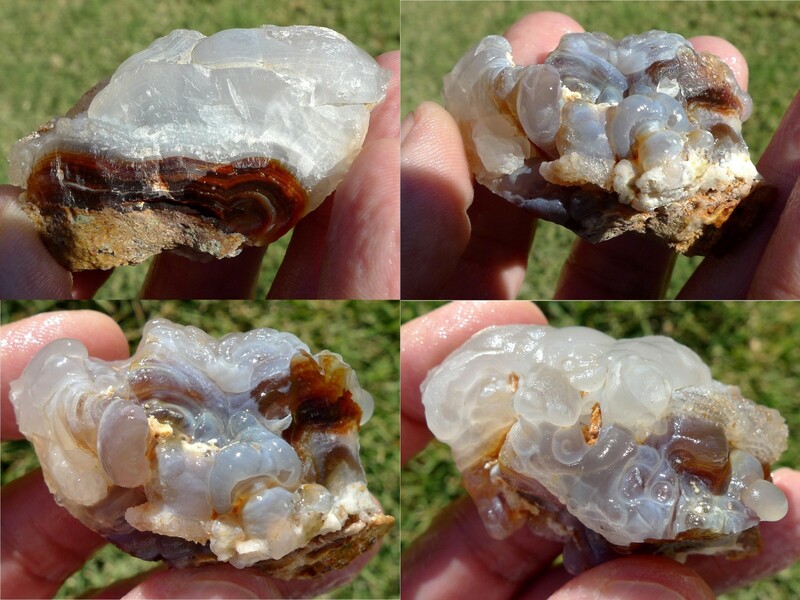 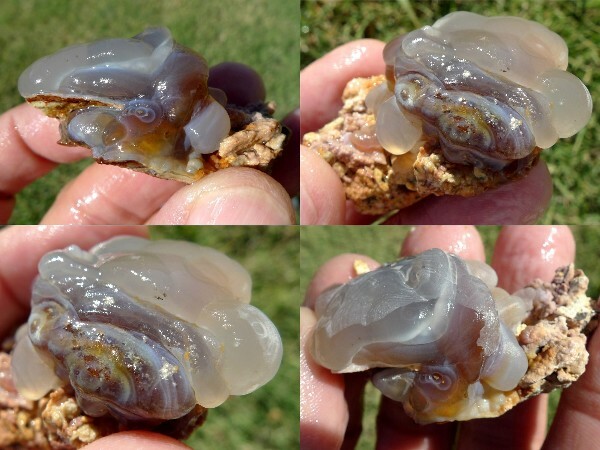 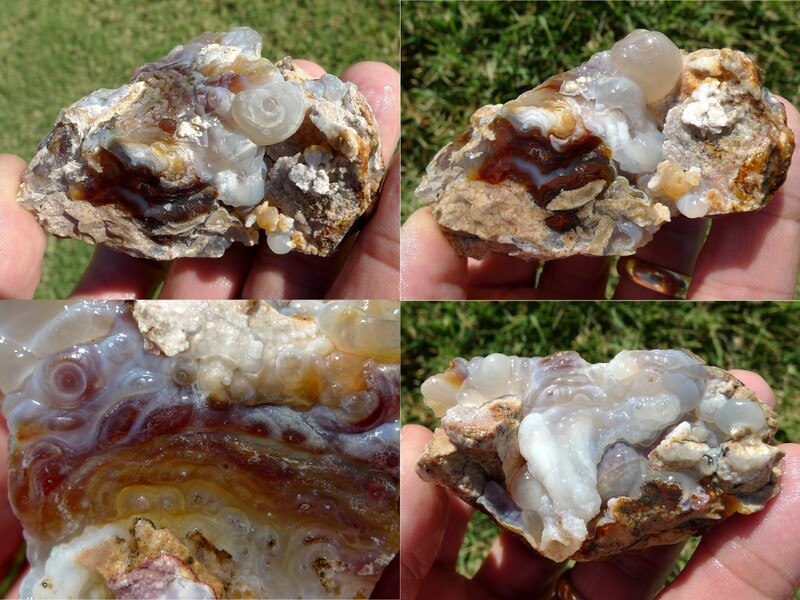 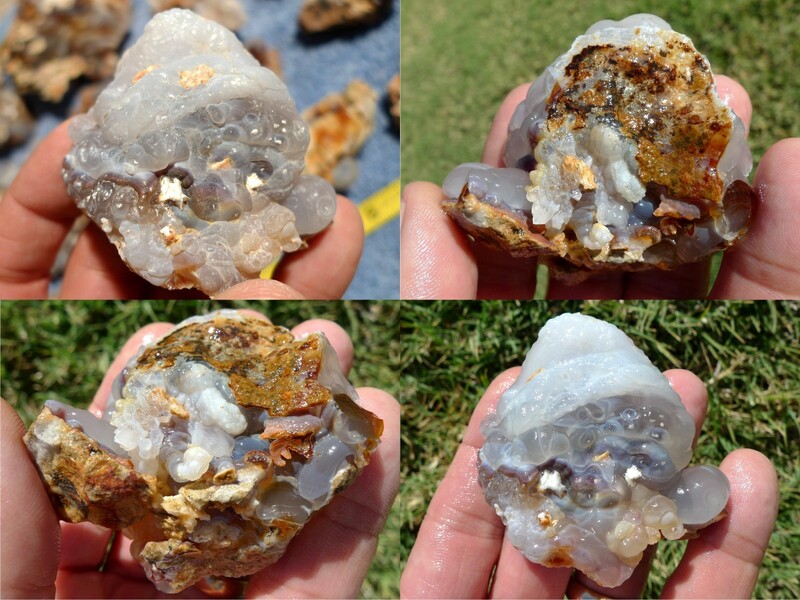 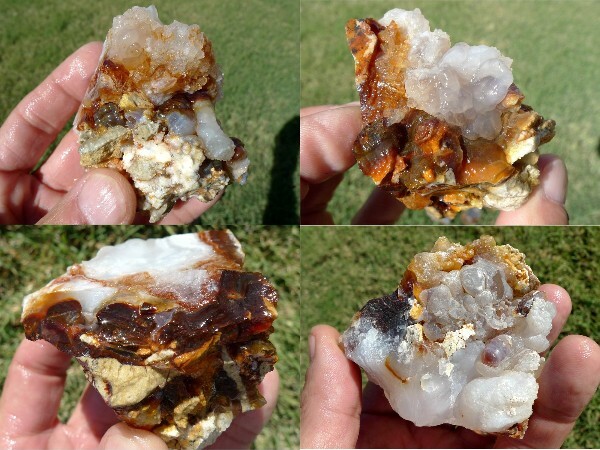 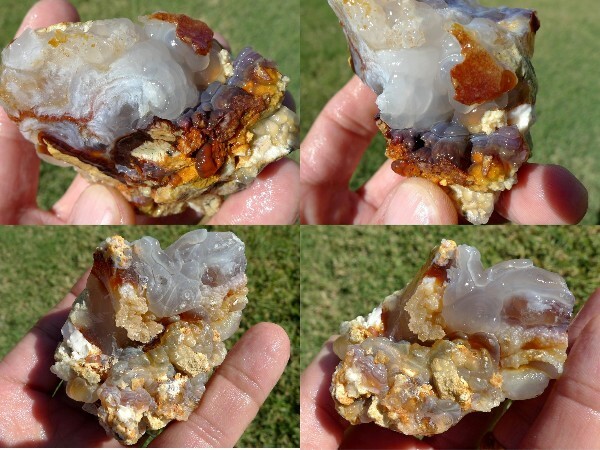 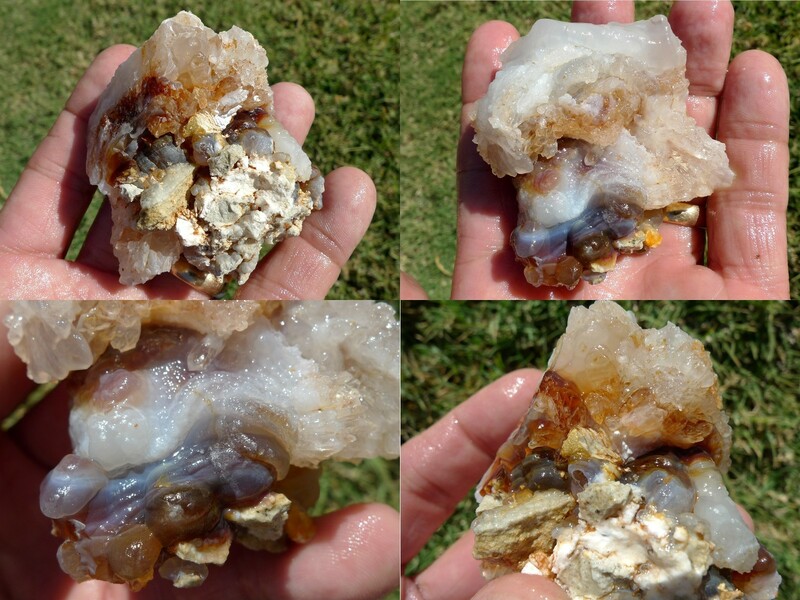 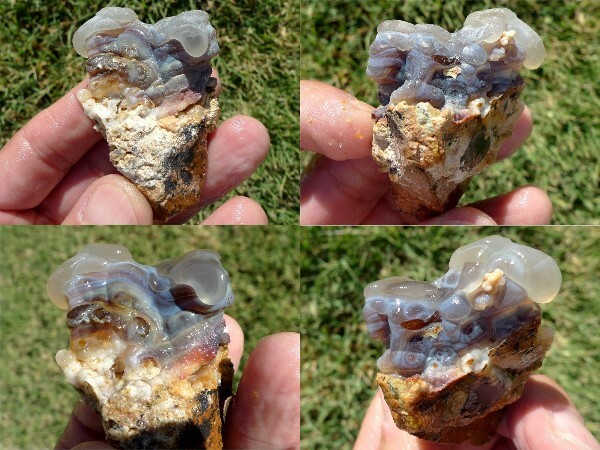 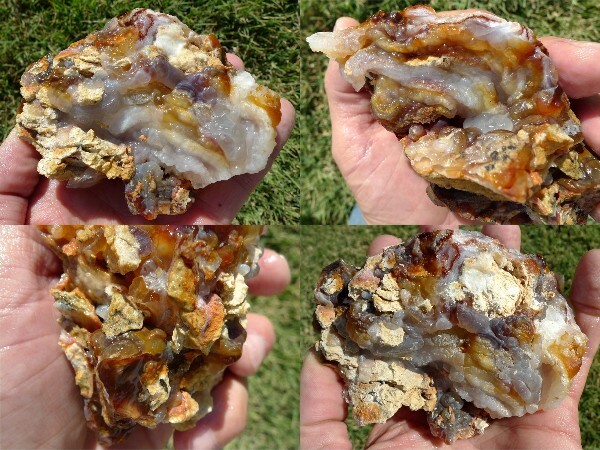 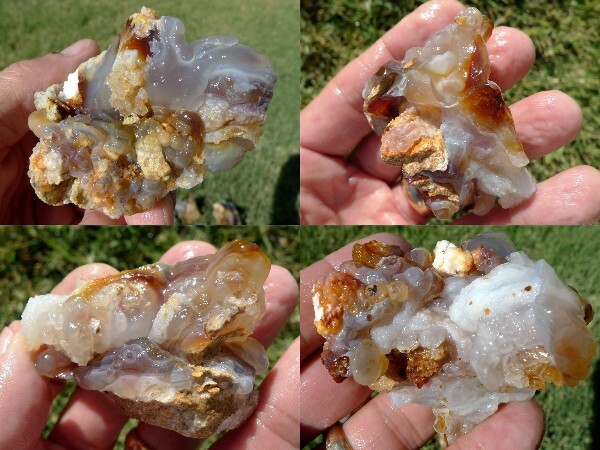 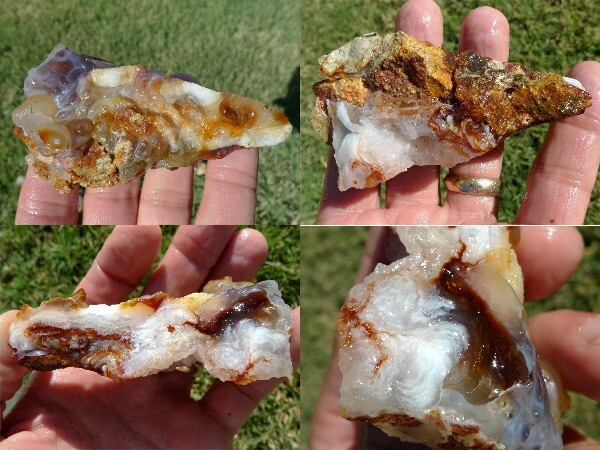 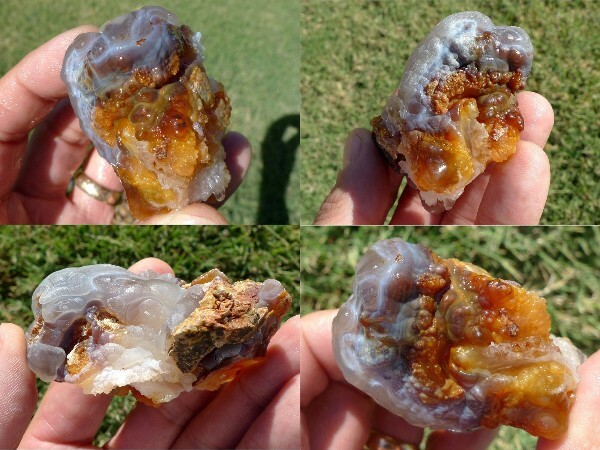 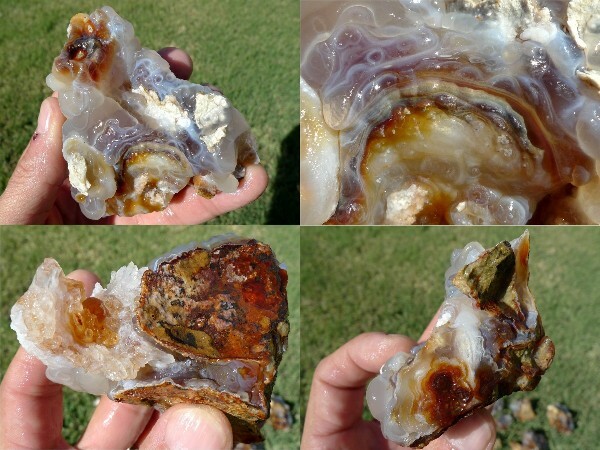 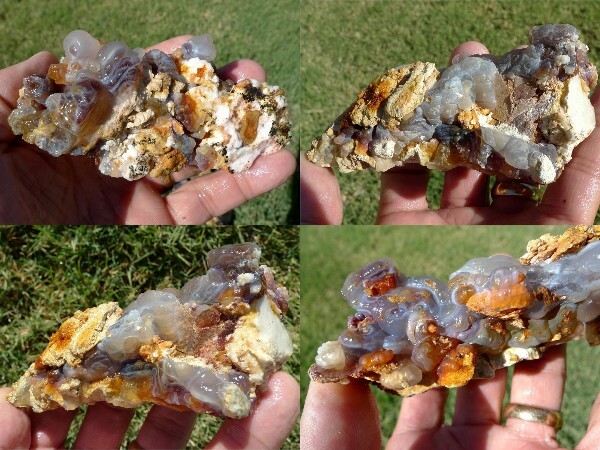 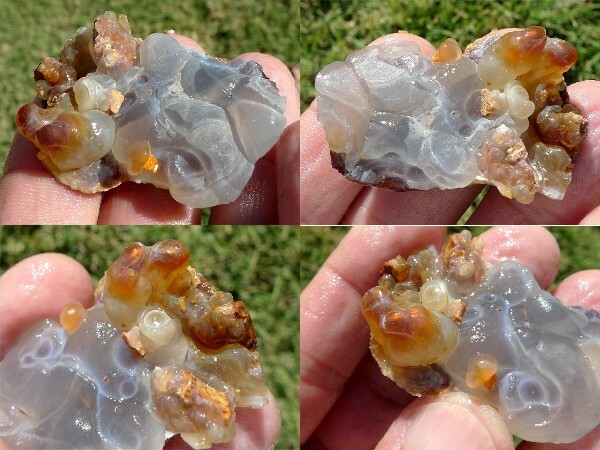 We consider this a medium grade parcel with some showing external fire and others showing limonite banding indicating possible internal fire, but these pieces also have a lot of chalcedony, quartz crystals and rhyolite matrix attached. 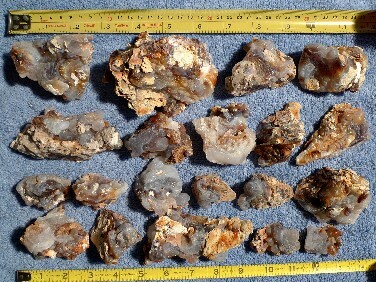 These would be be good for cabbing, slabbing and carving purposes or would also make for good mineral specimen displays. 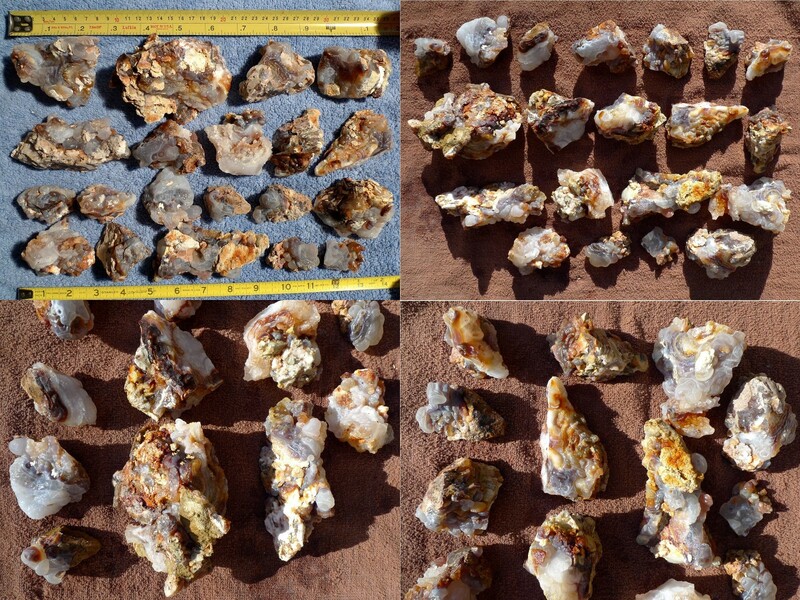 Photos taken outdoors in sunlight and indoors under lights while the stones were both wet and dry. 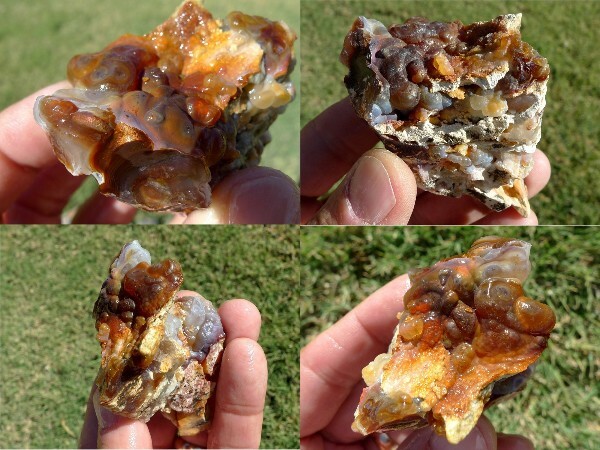 This gemstone material originates from Slaughter Mountain, Arizona, known for fire agates with intense color variations from bright reds and oranges to intense greens, purples and blues.